Cespedes is still a free agent…thanks to the CBA. The current MLB Collective Bargaining Agreement was put into place in 2011 and expires on December 1st of 2016. With the expiration, it is likely that players will find a way or work towards eliminating the current draft pick compensation. While the qualifying offer protects small-market teams and allows them to receive compensation for losing a player, it also comes with driving the price of free agents down. For that reason, players who receive qualifying offers need to truly be elite, or they pay the price in the open market. From 2012 to 2014, all 34 players who received qualifying offers rejected them; however, after the 2015 season, a whopping 20 players received offers, with three players – Matt Wieters, Colby Rasmus, and Brett Anderson – accepting the one-year, $15.8 million deals (the average annual value of the top 125 salaries in baseball), while a fourth, Marco Estrada, agreed to a two-year deal with Toronto. Unfortunately, there are several others who are still seeking roster asylum. 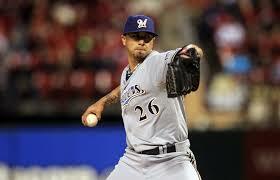 Gallardo is still homeless due to draft pick compensation. Cliff Lee, Mark Buehrle, Tim Lincecum, Doug Fister, Kyle Lohse, Jimmy Rollins, Howie Kendrick, Alex Rios, Greg Holland (Tommy John surgery), Marlon Byrd, David Freese, Pedro Alvarez, Mike Minor (coming off of shoulder surgery), Alfredo Simon, Matt Joyce, Ike Davis, Bronson Arroyo (Tommy John surgery), Juan Uribe, and superstar slugger Yoenis Cespedes. Interestingly enough, the players above do not require draft pick compensation; however, many clubs now value the cost effective, team control mantra that comes with youth movements, while refraining from the over-inflated, under-performing, declining veteran deals, which causes the shelf period for players in free agency to continue to lengthen. It certainly makes sense for clubs to give young players additional opportunities, especially if they have very little chance to succeed in a given year. Many teams will likely attempt to match the Houston Astros complete, disgraceful collapse and eventual successful rebuild, rather than giving $8 million to a 38-year-old infielder. The perfect example of this would be my hometown Cincinnati Reds plugging last year’s shortstop, Eugenio Suarez (who gives way at short after Zack Cozart‘s return from a knee injury), in at third base instead of signing David Freese or Juan Uribe to give mediocre production at a much greater cost. Giancarlo Stanton is guaranteed $318.5 million by the end of the 2027 season – if he doesn’t opt-out after 2020. Free agency for the elite players continues to be lucrative. Free agency for large market clubs continues to be a bountiful way to reload a roster quickly. However, free agency for small-market clubs and lesser players continues to be a battle of patience, as offers are slow to develop until desperation sinks in. All of this goes back to ways that clubs and owners are able to manipulate the market. Qualifying offers and compensation picks protect clubs, but there is still no true protection for the players – outside of that whole guaranteed contract thing. There is so much money in baseball. Though some people complain about how much players are paid, they certainly are due their fair share of the pot. That isn’t happening right now. If players continue to sit out deep into the offseason, it is fair to cry collusion among the owners. Billionaires battling millionaires. You have to love first world problems. When the Cleveland Indians dealt Nick Swisher and Michael Bourn to the Atlanta Braves in August, with cash, they were able to dump quite a bit of salary in the process. Swisher is set to make $15 million and Bourn is set to make $14 million, and the Braves are desperately seeking a deal of Swisher in their rebuilding process, which seems to be taking on horrible contracts and dealing their existing talent for prospects, as they did with Shelby Miller in their recent deal with Arizona. Regardless of the deal, the Indians are now in a very interesting spot. Their current roster, after arbitration projections from MLBTradeRumors, will earn roughly $64.9 million in 2016. After acquiring Collin Cowgill from the Angels, the Indians CAN’T be finished, right? Cleveland’s pitching staff is deep and loaded. Can they survive a deal? After finishing 14 games back of the World Series championship-winning Kansas City Royals, the Indians should look to improve on their 669 runs, which ranked 18th in MLB. It would be easy to say that the Tribe should deal from their strength – their pitching, and it is certainly easy to agree with that saying, as the team has 2014 AL Cy Young winner RHP Corey Kluber, RHP Carlos Carrasco, RHP Danny Salazar, and RHP Trevor Bauer, while mixing in LHP T.J. House, RHP Josh Tomlin, and RHP Cody Anderson. Of that group, Carrasco and Salazar seem to be longed for most by other clubs. Carrasco, 29, is guaranteed $19,662,500 over the next three seasons, while the two club options for 2019 and 2020 ($9 million and $9.5 million) are well below market value. When you consider that RHP Jeff Samardzija just received a five-year, $90 million deal from the San Francisco Giants after posting a 4.96 ERA and leading the majors in hits and earned runs allowed, the five years and $38 million owed to Carrasco, who had a career-high 10.2 K:9 and a 2.84 FIP in 2015, seems like a very wise investment. Salazar, 26, isn’t eligible for arbitration until after the 2016 season, and he is under team control, thanks to the arbitration process, through the 2020 season. The young right-hander won 14 games and struck out 195 batters over 185 innings and 30 starts in 2015. Sources: #Cubs talked with #Indians about trading for Carrasco or Salazar, with package to Cleveland including Soler; no momentum now. While Fox Sports’ Jon Morosi has stated that the momentum for a deal with the Chicago Cubs is pretty dead, it shouldn’t be. The Cubs could really use some additional rotation depth in their pursuit of a title. With RHP Jake Arrieta, RHP John Lackey, and LHP Jon Lester at the top of the rotation, Carrasco or Salazar would slide right in as upgrades over RHP Adam Warren, RHP Jason Hammel, LHP Travis Wood, RHP Trevor Cahill, or RHP Kyle Hendricks. Not only that, but the Cubs, who recently signed OF Jason Heyward, could deal OF Jorge Soler, opening up a spot for INF Javier Baez, who could move to the outfield due to the recently signed 2B/OF Ben Zobrist, while postseason masher Kyle Schwarber takes over in the other corner. The deal makes perfect sense for the Indians, who ranked 22nd in home runs in 2015 and have Cowgill and Lonnie Chisenhall listed as their current starting corner outfielders. Soler, who is under team control through 2021, could be a massive haul for the club offensively. While the soon-to-be 24-year-old has struggled to stay healthy, he certainly has the potential to be an asset for Cleveland. Soler shouldn’t be enough to acquire either Carrasco or Salazar, but the Cubs have a gluttony of talented young players. Could the Indians get Chicago to add in SS Gleyber Torres, OF Billy McKinney, OF Albert Almora, or OF Ian Happ with Soler? If so, this becomes as necessary for the Indians as laughing at the Browns has become for rest of us. The Indians can survive this type of deal. They would still have Salazar or Carrasco, whoever isn’t traded, to pair with Kluber at the top of the rotation, while the club could see gains from Bauer and healthy seasons from House or Tomlin to smooth over the rest of the rotation. This is a deal that Cleveland can’t pass up, especially with the trade market that has been set by Arizona’s deal for Miller and the Houston Astros’ acquisition of RHP Ken Giles from Philadelphia. 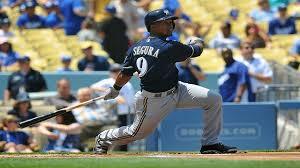 Is It Time for Expansion in MLB? It has been 16 years since a new team was added to MLB. 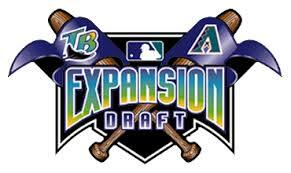 It was 1998 when the Tampa Bay (Devil) Rays and Arizona Diamondbacks joined Major League Baseball. 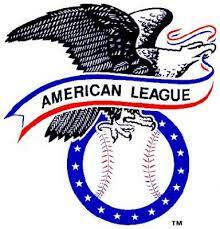 Five years prior to that, 1993, MLB welcomed the Florida (Miami) Marlins and the Colorado Rockies, 16 years after the Toronto Blue Jays and Seattle Mariners were added. Now, over 16 years after adding the Rays and Diamondbacks, is it time for Major League Baseball to add the 31st and 32nd clubs, and how would that change the league? Because of scheduling, there would have to be two teams added, allowing 16 games to be played each night. Currently, with six divisions – three in each league – there are opportunities for five teams to appear in the playoffs, with the three division champions being joined by the winner of a one-game Wild Card play-in. How would this change going forward? Would the top two teams in each eight-team division within a league be the playoff teams, or would MLB want to keep the five participants (with the two weakest records among the top five qualifiers playing each other) or expand the playoffs to eight teams – which seems like going overboard, though there are financial pluses for the league and teams in expanding the playoffs, but playing games in cold cities in November would be horrific. 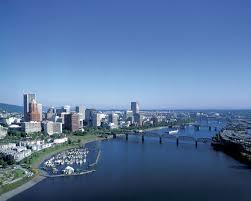 Is beautiful Portland, Oregon the next location for a MLB team? Further down the list – San Antonio, Las Vegas, Oklahoma City, Albuquerque, and Birmingham. Some could argue the vicinity of teams like the Cincinnati Reds and Cleveland Indians to Columbus and Indianapolis would make those cities more likely to only have minor league teams, which they both currently do (Indianapolis Indians are the Triple-A affiliate of the Pittsburgh Pirates and the Columbus Clippers are the Triple-A affiliate of the Cleveland Indians), than the addition of another club. The Reds, in particular, thrive on fans coming from Dayton, Columbus, Lexington, and Louisville to watch Major League quality play, even though minor league clubs are present in each city. The population doesn’t support an additional Ohio team, especially when the Reds and Indians can’t fill their current stadiums on a nightly basis. That’s why it is so interesting when Brooklyn gets brought up as an expansion city still today. We all know that the Dodgers left Brooklyn for Los Angeles in 1957, but could New York carry a third team if ownership doesn’t price out their fans the way that the New York Yankees and Mets have appeared to do within their new stadiums and the expensive, luxury “values” that they are providing now? Could Charlotte represent the south in MLB? It is worrisome to have so many teams packed into one area, and the east coast is littered with teams, specifically the northeast. 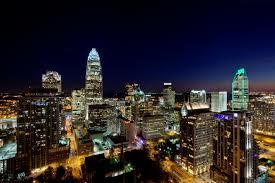 However, the addition of a team in Charlotte could be really intriguing for MLB. The south has always been ruled by the Atlanta Braves, and Braves Nation is huge due to the existence of TBS and the games being nationally televised for so many years. I grew up watching some pretty terrible, Dale Murphy-led Braves’ teams. Charlotte opens baseball in the south for the National League, as it could create a new rivalry with Atlanta, while focusing on the markets of Charlotte, Raleigh, Durham, Asheville, Greensville, and Spartanburg could allow for some lucrative corporate and television endorsement agreements for the club, while expanding baseball in a southeastern region that is heavily populated and not so heavily represented in MLB today. Additionally, Las Vegas is mentioned often due to its booming population when baseball expansion is discussed. It isn’t even a top 40 TV market, and if it were to earn a team, would the team thrive with so much of the population busy working the casinos and other tourist attractions, while those tourists are busy stuffing themselves with free buffets, drinks, and Celine Dion shows? Can it really support a club when the main economy factor will always be tourists? We’ve seen attendance become an issue in Tampa and Miami in the past due to the tourist ways of Florida populations, so would MLB want another potential revenue draining club? Portland, Oregon, much like Charlotte, would fit into the Pacific Northwest nicely, creating a natural rivalry with the Seattle Mariners in the American League. There would be some issues with the stadium, as a roof would be necessary, in addition to the fact that Portland has limitations on land due to a pretty strict environmental protection agreement in the area, preventing nature around the city from being destroyed to maintain the area for hikers, tourists, and other green philosophies. Portland is ranked 22nd among all TV markets in the United States, while potentially raking in money from surrounding universities and Nike, among others, in sponsorship and development of the franchise. It has been a pretty busy month of baseball to this point. 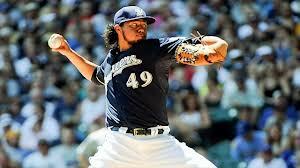 There are also plenty of pitchers who may have a leg up on the competition in the month of May. Several standouts in May have presented an interesting question. Pitching is a tricky part of the game. With so many injuries, it is fair to wonder what the wear and tear of long-term success has on a player’s future, and we may be seeing that now with Verlander, specifically. However, for all of the mediocrity that comes with the 85.8 mph average fastball that Bronson Arroyo is throwing this season, perhaps plus-plus velocity continues to be overrated. In fact, as it heats up in May, it is fair to look at pitchers like Hughes (92.1 mph), Hudson (89.0 mph), Vogelsong (90.2 mph), Peralta (95.3 mph), Keuchel (89.3 mph), and Leake (90.8 mph) and wonder if the fastball is really all that important. Consider the top 20 fastball velocities in baseball since the start of the 2010 season. The numbers range from 95.7 to 93.2 and how many of them have had elbow issues in their careers – 11. Andrew Cashner (5/2014), Stephen Strasburg (9/2010 and 10/2013), David Price (4/2008), Chris Sale (4/2014), Josh Johnson (7/2007, 10/2013, and 4/2014), Alfredo Simon (5/2009), Jordan Zimmermann (8/2009), Matt Garza (4/2008 and 7/2012), Matt Moore (7/2013 and 4/2014), Edinson Volquez (8/2009), and Luke Hochevar (3/2014), have each spent time on the disabled list due to elbow issues, with Strasburg, Johnson, Simon, Zimmermann, Moore, Volquez, and Hochevar undergoing Tommy John surgeries. While there are names, like Peralta and Hughes, who are thriving still with 92 to 95 mph fastballs, could it just be another inning before the elbow snaps? 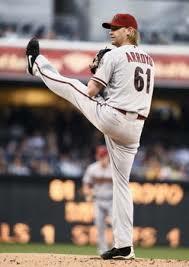 Bronson Arroyo has tossed 2,339.1 innings in his career without a single stint on the disabled list. 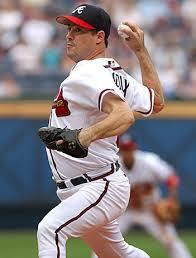 Greg Maddux tossed over 5,000 innings in his 23-year career with one disabled list stint, missing 10 games in 2002 due to a nerve issue, while changing speeds and utilizing movement to become a four-time Cy Young winner. Mark Buehrle is up to 2,956 innings and 195 wins without a stint on the disabled list without an electric fastball. Yordano Ventura and his 96 mph average fastball lasted all of 72.2 innings before injuring his elbow. For all of the stuff and electricity that is added to the ballpark experience due to an incredible, triple-digit fastball, the torque and force on the elbow will continue to be a single pitch away from snapping the ulnar collateral ligament. There certainly are some impressive names on the list for top 20 velocities since 2010, but when half of them lose time due to injury, is it really worth it? Scouting speed seems ok with Billy Hamilton or Micah Johnson, but the vulnerability of pitchers due to the focus on fastball velocity is risky business these days in baseball. On Tuesday night, the Atlanta Braves celebrated the 40th anniversary of Hank Aaron‘s 715th home run, which catapulted him past Babe Ruth for Major League Baseball’s all-time record for career home runs. Aaron’s career was finished following the 1976 season, and, while Barry Bonds and his asterisk-filled resume was able to pass him on the home run list, Aaron still holds the major league record for RBI (2,297) and total bases (6,856). 4,256. Pete Rose – career hits. 714. Babe Ruth – career home runs. 2,632. Cal Ripken, Jr. – consecutive games played. 511. Cy Young – career pitching wins. 61. Roger Maris – home runs in 1961. 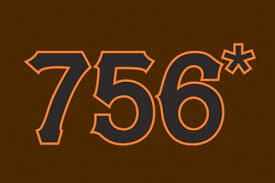 755 is also one of those numbers that is burned into the minds of baseball fans; however, it was replaced by a new record for career home runs, established on August 7, 2007, when Bonds’ 756th bomb left AT&T Park in San Francisco. Bonds would be blackballed from baseball after the 2007 season, leaving the game with 762 career home runs and a legacy tarnished by perjury charges and his link to performance-enhancing drug use. This morning in my drive home from dropping off my daughter at school, Mike and Mike, the morning ESPN Radio show, were discussing the importance of Aaron’s numbers and what they mean to baseball today. Mike Golic made an excellent point – why can’t baseball throw away the performance-enhancing drug numbers the way that track and field does? When an athlete sets a record, wins a medal, or any other significant merits that are later tarnished by allegations and proof of cheating, those awards and records are stripped, as if they never happened. If baseball wants to keep their records clean, they, led by commissioner Bud Selig, had and have the opportunities to do such a thing. Considering the MLB Player’s Association’s unwillingness to support Barry Bonds when he was unable to find a job after the 2007 season, it would appear that the removal of records would be something that could be easily accomplished by MLB leadership. The integrity of the game and its records have been tarnished by the use of performance-enhancing drugs. I have long felt that Major League Baseball has had plenty of celebrated miscreants within the game, including racists, womanizers, and cheaters (Ty Cobb, Ruth, and Gaylord Perry fit those descriptions perfectly), while drugs, including “greenies” and cocaine, ran rampant throughout the game for many years undetected and overlooked. 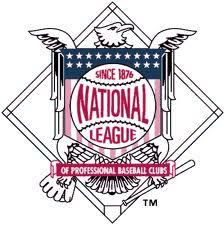 After the 1994 player’s strike, the league seemed to be perfectly happy with the home run numbers increasing and the turnstiles producing record numbers, huge revenue, and new stadiums for the good ol’ boy network of owners. Suddenly, those same home runs weren’t as attractive, and the league went after Sammy Sosa, Bonds, and Mark McGwire, instead of acknowledging that they helped to save the game. So, now that the league has moved on from the men who helped to bring it back from the dead and they’re bringing in billions of dollars in revenue through Major League Baseball Advanced Media and lucrative television contracts, they can continue to turn their back on their one-time heroes like Roger Clemens, Mike Piazza, Jeff Bagwell, Bonds, Sosa, and McGwire, while allowing the Hall of Fame to become a mockery of a museum thanks in large part to the attention-starved writers who now make up the voting oligarchy of Cooperstown. So, while Hank Aaron was and continues to be a living legend and icon in the sport, is it really fair for his number, 755, to continue to be the measuring stick of power in baseball when that number has been surpassed? No…but it doesn’t mean that it has to go away and that 762 is the only number that needs to be remembered. The 714 home runs that Babe Ruth hit are still an important number in baseball, as are the 660 that Willie Mays hit. 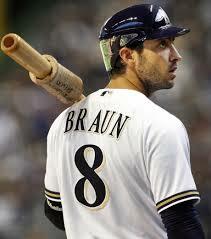 There isn’t an asterisk needed for Barry Bonds because there wasn’t one needed for Ruth’s number to be important. 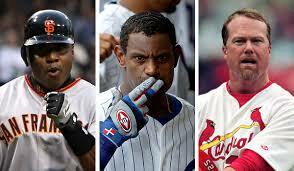 Regardless of the drugs that helped Bonds produce into his 40’s, baseball remains a numbers game. We don’t put asterisks on the numbers that players put up prior to Jackie Robinson breaking the color barrier. Wouldn’t baseball have been more competitive, as it is today, with the world’s best players on one stage, and not just the top white players? Hank Aaron’s 755 will live on and his legacy of powerful longevity within Major League Baseball will last well beyond his lifetime. His number will remain meaningful as long as his story does, just as others have heard about and learned to love players from well before their lifetimes. There aren’t many who look back at the production that Ruth put up in his career without being awestruck, and the same will remain true for future baseball fans who won’t even see a game until the year 2214. Why? Because baseball remains meaningful, the players remain meaningful, and the numbers remain meaningful to those who love and are passionate about the game. One Pitcher…One Game…Who Do You Pick? All over the internet this week, different analysts have raised the question: “If you could choose any pitcher to pitch an elimination game, who would you choose?” It seems like a pretty easy question, but the answers have been all over the place. Obviously, the concept needs to be narrowed down. Is it right now? Is it in the history of the game? What kind of team is the pitcher facing? A recent article at FanGraphs actually posed the question to 12 different players. Not surprisingly, Los Angeles Dodgers left-handed starter Clayton Kershaw came out on top, receiving six votes, but it was relatively surprising that he only received six of the 12 votes. David Price ranked second with two votes, while soon-to-be free agent right-hander Roy Halladay, New York Mets’ right-hander Matt Harvey, Philadelphia Phillies left-hander Cliff Lee, and St. Louis Cardinals right-hander Adam Wainwright each received one vote. With Andy Pettitte, the all-time leader in postseason wins (19), Cole Hamels (7-4 with a 3.09 ERA in 13 postseason starts), and Chris Carpenter (10-4 with a 3.00 ERA in 18 postseason starts) still around, is it fair to wonder what Baltimore Orioles’ first baseman Chris Davis was thinking when he said the zero postseason start Matt Harvey? Certainly, the nastiness of the stuff has to be taken into account when you are answering a question like this, and Harvey is undeniably one of the nastiest pitchers in Major League Baseball…when healthy. If that is the case, should Miami Marlins’ right-hander Jose Fernandez be someone to consider? What about Justin Verlander – the guy has won seven of 14 starts, including a complete ownage of Oakland in the postseason, having posted a 0.29 ERA and a 43:7 K:BB in 31 innings (four starts)? Tim Lincecum has five wins and a 2.47 ERA over 54.2 postseason innings, why not him? 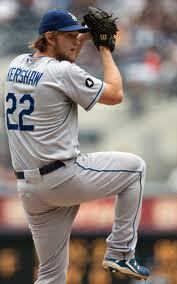 As great as Kershaw has been, he has just one win in five postseason starts. Certainly, it isn’t just about wins, as the win is a strange, outdated statistic; however, after watching Kershaw get rocked in the 2009 NLCS against the Phillies (albeit at the age of 21), is he the best option? How can a pitcher have a career 2.60 ERA, including a 2.21 ERA over his last 99 starts, and only win about 42-percent of his starts (63-percent of his decisions)? It isn’t Kershaw’s fault. That’s why it doesn’t matter. Candlestick Park, San Francisco, California. Milwaukee Braves versus San Francisco Giants. Warren Spahn versus Juan Marichal. Kershaw isn’t going to pitch 16 innings anytime soon, he is just as unlikely to pitch on three days rest several times in a series to accumulate dominant postseason statistics considering he has never started a game on three days rest in his career. The question “who would you start in a game that means everything” means very little. The pitcher means a lot to the outcome of the game, but what happens when that dominant pitcher has Miguel Cabrera playing third base with sore legs and Jhonny Peralta at short? What happens when Joe Kelly or some other non-elite pitcher somehow matches zeroes with the dynamic ace? What happens when Don Larson, who posted a career 81-91 record, 3.78 ERA, and 1.40 WHIP, throws the lone perfect game in World Series history? 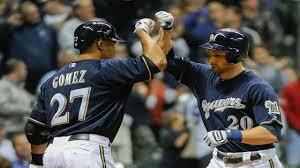 Wins don’t matter and dominant pitching is only a luxury when it is happening while the offense is scoring runs. A pitcher is only as good as those playing behind him are on a given night. Even Kerry Wood and Roger Clemens, who struck out 20 in a single game, had to have a run behind them in case someone managed to score in between the seven non-strikeout outs. Shouldn’t the real question be “if you could have one hitter and one pitcher on your team for a means-everything game, who would they be”?